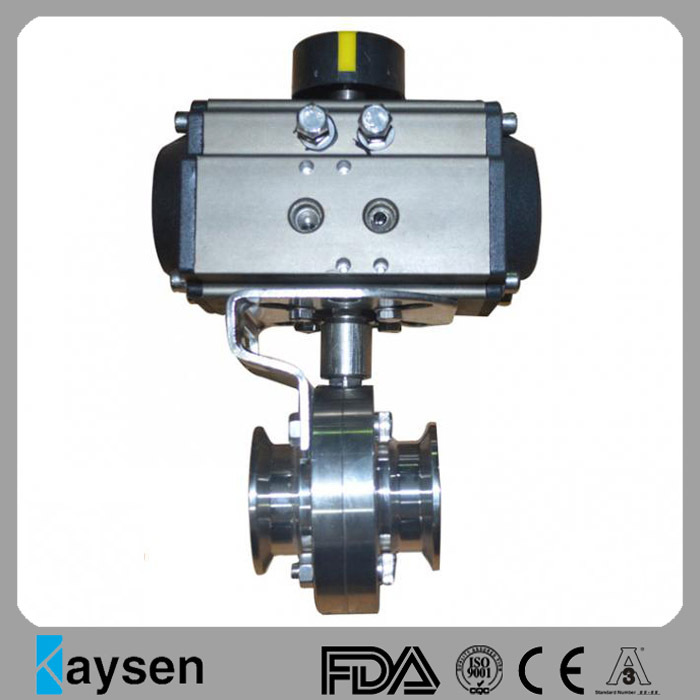 Sanitary Electric Butterfly Valve is electric actuator operated Sanitary Butterfly Valves. We provides full line electric butterfly valve from 1/2″ to 8″ in stainless steel T304, T316L etc, including flanged electric butterfly valve, threaded electric butterfly valve, tri-clamped electric butterfly valve, welded electric butterfly valve etc. 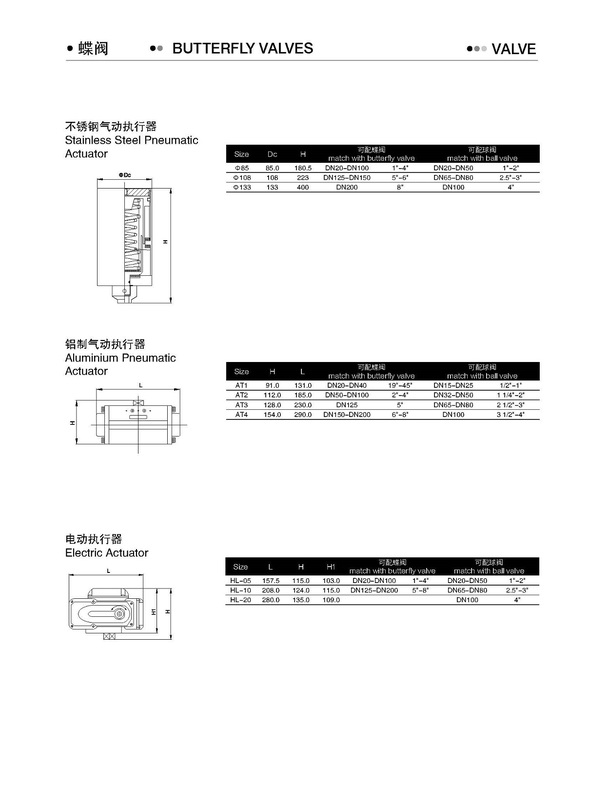 The electric actuator can be assemblied upon client`s request, either of China origin or EU/USA brand. Sanitary Clamped Butterfly Valve with Electic Actuator comply with 3A, DIN, SMS, ISO, DS standard, we offer it from DN10 to DN150. 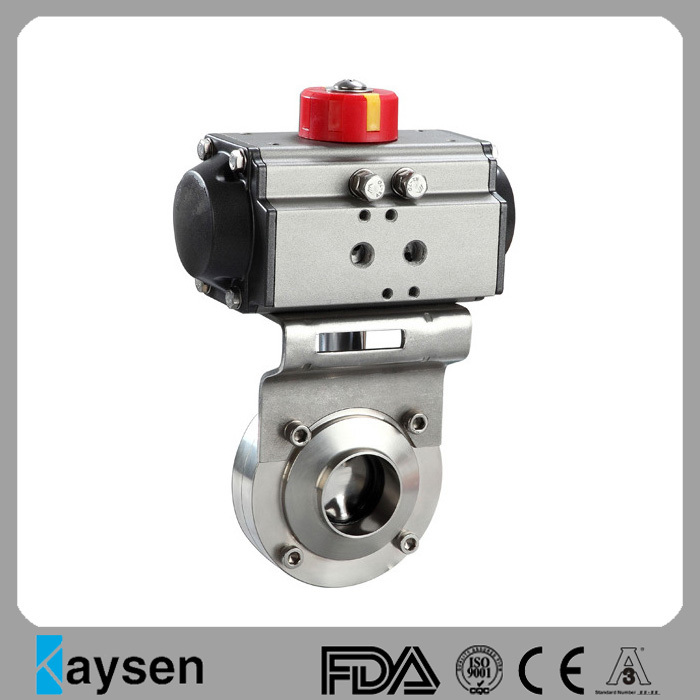 Kaysen is your reliable partner for the applications of Food, Brewery, Beverage, Dairy, Pharmaceutical etc. 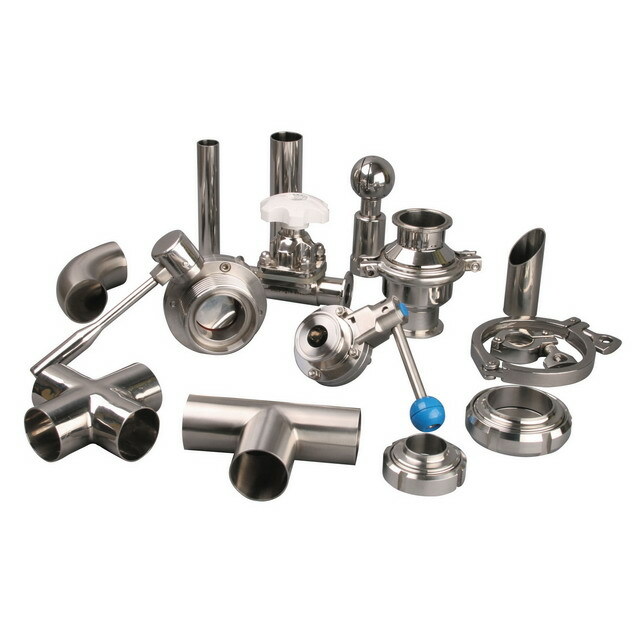 We have other sanitary valve, such as Sanitary Ball Valves, Mini Ball Valves, Sanitary Check Valves, Sanitary Diaphragm Valves, Sanitary Sampling Valves.If you like,pls contact me direct. 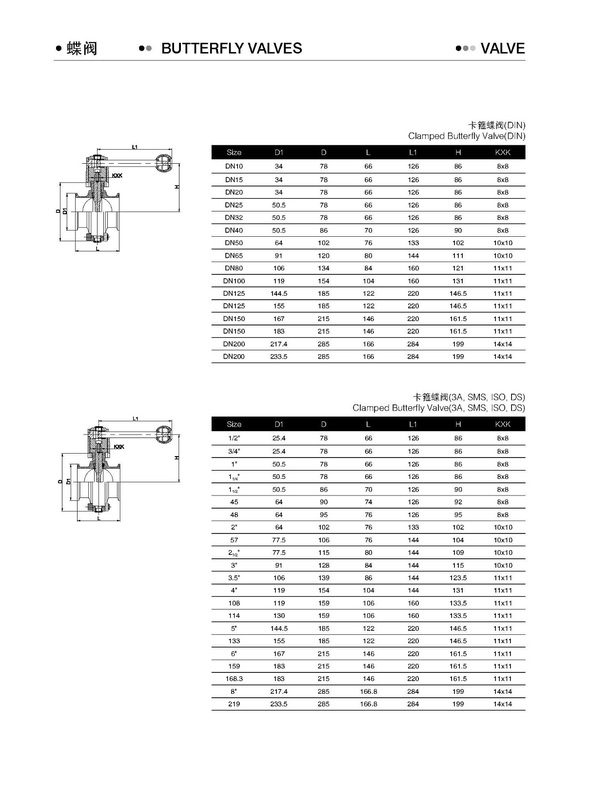 Looking for ideal Sanitary Butterfly Valve Penumatic Acutator Manufacturer & supplier ? We have a wide selection at great prices to help you get creative. 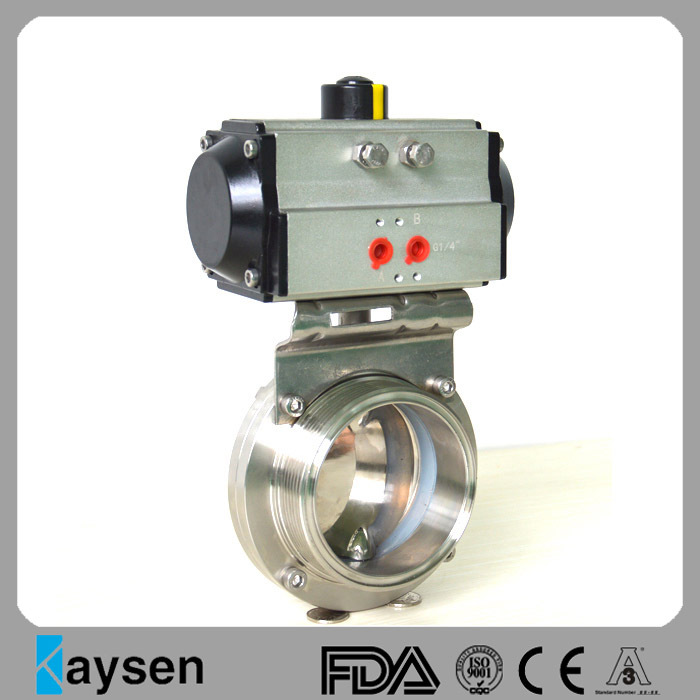 All the Penumatic Acutated Sanitary Butterfly Valve are quality guaranteed. 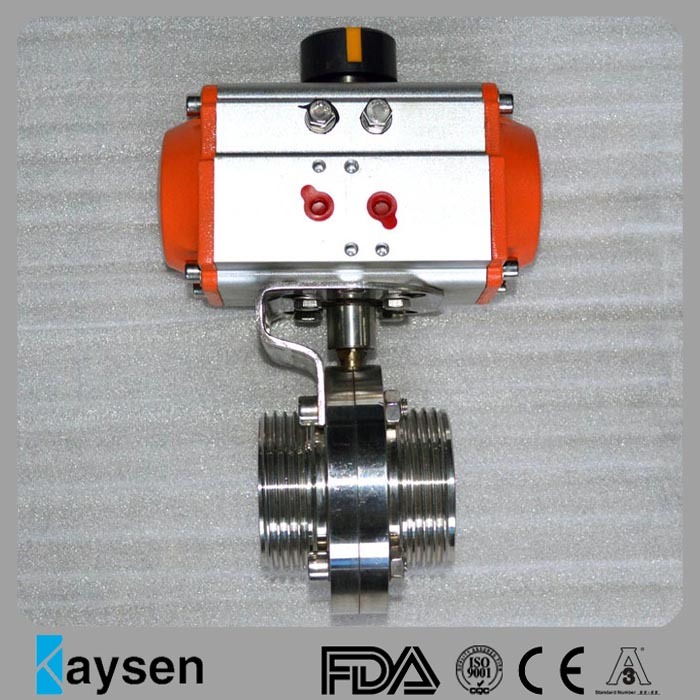 We are China Origin Factory of Sanitart Threaded Butterfly Valve. If you have any question, please feel free to contact us.